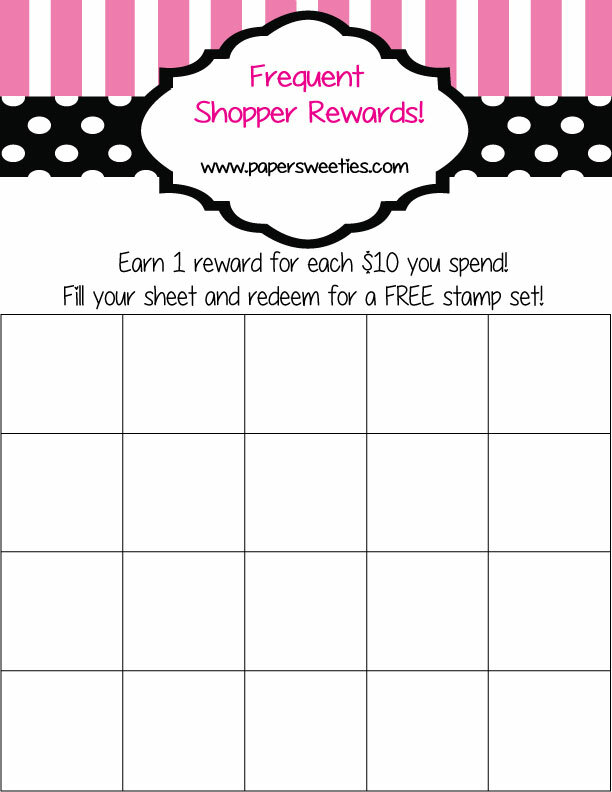 Print this chart to help you keep track of your Paper Sweeties REWARDS! You will earn one reward sticker for each $10 you spend (tax and shipping excluded). Your reward stickers will be included in your order when it is shipped to you or when you shop with us in person! When you completely fill your chart, contact us and we will send you instructions on how to redeem your full sheet for a FREE STAMP SET of your choice (retail value $12)! It’s fun to collect the reward tokens and see how quickly you can fill up your chart to earn FREE rewards! Copy, paste into a Word Document and print. Right click, file and print. Right click and ‘save as’ to your computer for future use.